It’s odd that a film that is itself nostalgic for simpler times now evokes nostalgia among those of my generation for rainy weekends in the 1970s, when classics like this filled the relatively limited airwaves. Back then it was enough to watch and enjoy them, but the appreciation they nurtured now demands more. Western marshal turned cattleman Wyatt Earp (Fonda) arrives at the lawless frontier town of Tombstone with his three brothers and a herd of cows they’re transporting to California to sell. Their plans to spend a refreshing night in town and move on are foiled when the youngest brother, left to guard the cattle, is killed and the herd stolen. Earp decides to stay in town until the matter is settled. While he forms an uneasy truce with the town’s de facto custodian, Doc Holliday (Mature), Holliday’s former girlfriend – the eponymous Clementine (Darnell) – arrives from Back East, to a frosty reception from both the Doc and, naturally enough, his current lover. The two dramas converge and ultimately conclude with the inevitable shoot-out at the OK Corral. Arrow Films, rapidly establishing themselves as a prestige label for DVD and Blu-ray, fulfill the need admirably with this no-expense-spared release. Alongside the film itself, we’re also given a pre-release version with some five minutes of additional scenes and editing variations, which are comprehensively analysed in a 40-minute documentary. Some of the other extras – an intensive commentary by Ford’s biographer Joseph McBride accompanied by Earp’s own grandson, and a radio adaptation, are included on the USA Criterion release, but not content with that, Arrow have included a one-hour Channel 4 programme from 1988 in which Lindsay Anderson gives a lecture on Clementine to students at the National Film School, and John Ford and Monument Valley, an affectionate recent documentary about the great director’s work, which includes lots of older video footage of John Wayne paying tribute to Ford, and of the man himself. This two-disc set is far more than a classic film beefed up with extras. It adds up to a masterclass in film in general, and to John Ford and the making of this film in particular. As for the film itself, anything I could tell you about an acknowledged classic would be redundant at this point in time, except perhaps my personal impressions. Never mind that it plays fast and loose with history (despite Ford’s assertion that he wrote the film to follow the truth as told to him by Earp himself, little more than the fact that there was a gunfight and that the Earps and the Clantons were there seems to match the historical record) and with geography (Ford’s career is responsible for giving us the impression that the American West all looks like Monument Valley!). Ford is – as the extras remind us more than once – ‘printing the legend’, much as Earp himself defined it. An audience fresh out of World War II probably would have had even less appetite for shades-of-grey reality than it has at other times, and this film has intriguing echoes of what might have been the national mood at the time – that of a country that has been through tough times (for the lawlessness of the Old West, read Prohibition and the Depression) and now, having made great sacrifices to bring order to its world (for the gunfight itself, read WW2) is resolved to look forward to building better times, and especially (and poignantly, from this distance) to protect its younger generation in the future, and not get them involved in conflicts they didn’t look for. 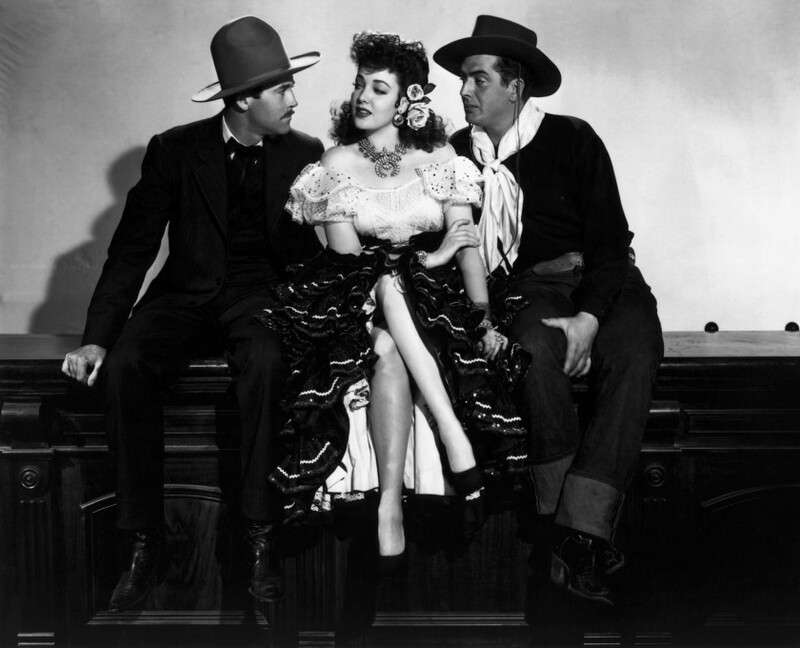 My Darling Clementine is out on Blu-ray on 17 August.